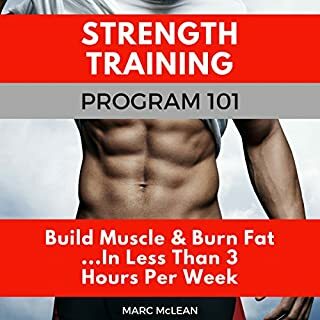 Strength Training Program 101: Build Muscle & Burn Fat...in Less Than 3 Hours Per Week is a master plan that'll help you become a stronger, healthier, better version of you. Best of all it's a straightforward guide for training and staying motivated that you won't get bored of and want to quit after a few weeks! There's a growing army of women out there laughing, because they've turned their bodies into fat burning machines - without exercising most of the week, or eating like a rabbit. They've transformed their bodies - and are now in the best shape of their lives. The reality is that weight training incinerates body fat, develops lean, toned muscles, increases your strength, improves your mental health, strengthens your heart, lowers your risk of disease, strengthens bones, improves posture, boosts your confidence - the list goes on. Finally stopped "thinking" about the gym and went! 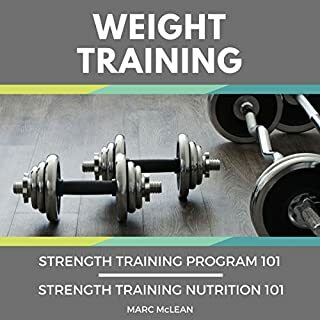 Two top-selling weight training books in one...revealing the best strength training exercises and strategies - and simplified nutrition advice to help you get best results. Do you get bored with your weight training program too soon because the results don't come quickly enough - or at all? Are you fed up with boring, bland muscle building diets that get you nowhere? Are you frustrated at looking in the mirror and seeing the out of shape reflection? It's time to learn how to burn fat fast - even if you've failed in the past! Burning fat is easy...but so many people make such hard work of it. Sweating through boring exercise sessions that they don't really enjoy. Making themselves miserable eating salads, low fat foods and struggling like hell resisting their favorite treats. Nutrition: Understanding the Basics: Nutrition 101, Healthy Eating and Weight Loss - Lose Weight and Feel Great! Do you want to learn how to build a lean, strong athletic body? 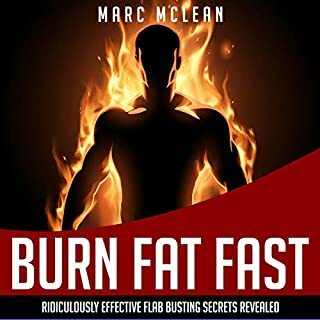 Then this keto fitness audiobook will teach you how to burn fat and build a warrior's body. Keto Fitness includes the following books: The Ketogenic Diet: The Fast Way to Burning Fat; Bodybuilding: How to Build the Body of a Greek God; and Strength Training (Secrets): The Best Tips & Strategies for Getting Stronger. Muscle Myths was written to debunk the most commonplace and harmful gimmicks, fads, myths, and misinformation in the health and fitness industry. With the information in this book, you can save the money, time, and frustration of buying into misleading diet plans and products that promise unattainable results. You can become your own personal trainer and start getting real results with your diet and exercise. There are more diets out there than you've had hot dinners.... There are countless crappy supplements promising the world.... There's all sorts of advice being thrown at us about calories, macronutrients, micronutrients...blah, blah, blah. Wouldn't you rather just cut out the bull* and learn a straightforward way of eating that'll help you gain lean muscle, keep your bodyfat levels low and maintain good health? A simplified strategy on what to eat, when, what to avoid to get the best results from your strength training program? Something that's easy to follow and maintain, and doesn't ban all your favourite foods, while still actually delivering results? This is it. 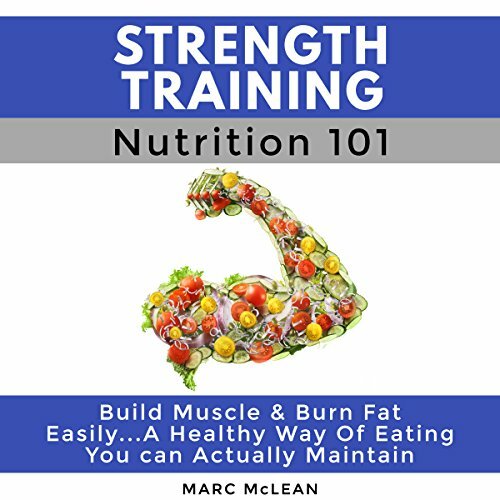 Strength Training Nutrition 101 is a sensible, do-able, manageable nutrition guide for men and women who lift weights (or others who generally want to improve their diet and overall health). 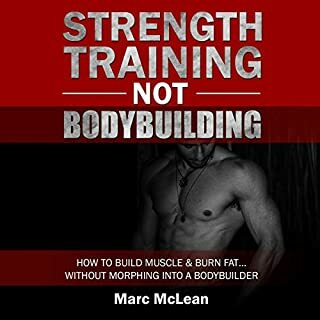 I'm Marc McLean, an online personal training and nutrition coach, and Strength Training Nutrition 101 is my masterplan for maximising your exercise efforts. It uncomplicates the complicated and makes clean eating easy. Are you confused about what to eat and when, because we're bombarded with so much advice from every angle? "Don't eat meat...." "Carbs are the devil...." "Eat a garden full of greens for breakfast...." This is just some of the advice we get from experts in a really noisy health and fitness industry. We're hit with advice on what we should be eating, how much we should be eating...and what we should be avoiding like an STI. This book is not about choosing one diet over another. It's about getting all the important stuff right and building a solid nutritional foundation, and then building upon this with strategies for sculpting a lean, athletic, awesome physique. It's also not about depriving you of food you love and eating chicken and broccoli eight days per week. The bottom line is that sticking with good nutrition should not be hard work. It should be easy to follow, manageable, and never actually feel like a "diet". Since I took up weight training back in 1998, I've experimented with countless ways of eating for energy, performance, muscle gain, keeping my bodyfat levels low, and most importantly, optimal health. I've studied various nutritional courses, read countless books and articles, and used myself as a human guinea pig over the past 18 years in the quest for the best approach for all the goals I mentioned above. In Strength Training Nutrition 101, I share with you how to simplify the way you eat and my nutritional strategies that support my weekly weight training regime for maintaining muscle and staying lean. 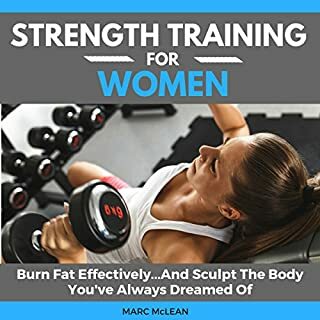 Good training book for beginners! If you could sum up Strength Training Nutrition 101 in three words, what would they be? Helpful, good source and good guide! What was one of the most memorable moments of Strength Training Nutrition 101? What about Evan Schmitt’s performance did you like? I like how he narrated. Very clear and understandable. Yes. And i would love to listen to it again. Good introduction. This audio is good for athletes. A good nutritional guide. It will surely improves your diet and overall health. Very handful and effective! Good there's a free supplement guide. Awesome! Will you HELENd me a hand? 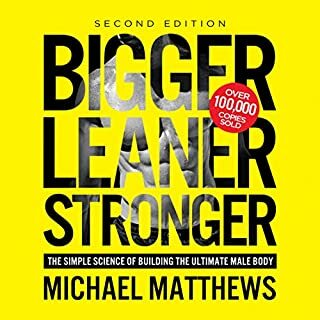 this properly designed book uncovers the secrets to a leaner me. the rules of the program are simple yet effective. i’ve succeeded in satisfying my husband with this appropriate training piece. according to him, listening to it has been empowering. the chapters on protein intake and calories were exactly what i was looking for. I liked this book as a basic overview of general nutrition. It focuses more on understanding how your body processes foods and debunks myths about supplements which I appreciated. As someone with a solid understanding of nutrition going into it, I would have gotten more out of the book if I had read it years ago when I was looking at my diet and exercise routine for the first time- I wish I had known about it then. However it still had lots of good information that benefitted me now. I like how the author kept each lesson short and understandable and didn’t try to over complicate it. It made the book easy to follow and interesting to listen to. I took so much away from this book. How do guide to proper nutrition when trying to reach your fitness goals. Very straight forward, provides clear instructions on what to eat and when to eat. Totally fool proof. Great for beginners. Would totally recommend for anyone starting their fitness/ healthy journey. Great place to start. This guy knows how to make this knowledge understandable for the common man or woman. It’s a quick book with straight to the point information. I got thru the whole thing in a flight , loved it . BEST BOOK ON SUCCESS EVER WRITTEN! A breath of Fresh Air When it comes to diet. This book is a great guide diet. Would you listen to Strength Training Nutrition 101 again? Why? Its guidelines and tips which help you loose or burn your fats. The narrator reminds us that this is not a diet book but this helps you choose what to eat but nutritious and healthy and also maintain your shapes. The guidelines are excellent. Good conditioning program with great approach. Good tool to achieve healthy and athletic body. After contemplating on this hand book, I decided to give it a shot. I agree. Strength training isn’t attainable if good nutrition isn’t considered. I’m fascinated by what I’ve learned so far and test it soon.